Anaesthesia and associated specialties such as Intensive Care Medicine and Pain Management have a fascinating history. Although history does not currently appear in the exam syllabus for the FRCA, FFICM or FFPMRCA examinations, an understanding of history provides trainees with a much broader understanding of key concepts and can improve performance in professional examinations. History provides a unique opportunity for trainees to undertake research and present their findings at national and international scientific meetings. In addition there are a number of generous prizes and fellowships available to trainees, a selection of which are outlined below with links for further information. Meetings of the History of Anaesthesia Society are always very interesting and papers from trainees are both welcome and well received. Furthermore, trainees that have papers accepted for presentation receive free meeting registration, a free place at the annual dinner and one year's free membership of the Society. In addition to presenting their paper orally at the meeting, it will be published in the Proceedings of the History of Anaesthesia Society. We look forward to meeting you soon! Dr McKenzie will then select the most appropriate mentor, who will get in touch with you. Note that the mentors cannot do the work and write the manuscript. They will give advice on the viability of the project, where to find relevant literature, other relevant aspects to consider, guidance on writing and where best to submit a particular paper. The Association of Anaesthetists and the History of Anaesthesia Society will offer a cash prize of £500 to a trainee or medical student member of the Association for an original essay of 4000-6000 words on a topic related to the history of anaesthesia, intensive care or pain management. Essays should have reference in Vancouver format. The paper should not previously have been published. Resubmission of an essay previously submitted may only be allowed on one occasion. ​All essays will be subject to a plagiarism check as part of the judging process. The £500 prize and an engraved medal will be awarded at the discretion of the judging panel, and the winner will be invited to present the paper at the Association Trainee Conference. Certificates of merit may also be awarded to other entries of high standard. The winning entry may be published on the Association website or in Anaesthesia News at the discretion of the Managing Editor. 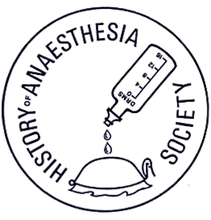 Organised by the Anesthesia History Association, the C. Ronald Stephen Essay Contest is open to all physicians who create an essay on any topic related to the history of anesthesia, pain medicine or critical care during Residency or Fellowship. Essays must be less than 5000 words in length. Up to three “finalists” will be announced during the annual meeting of the American Society of Anesthesiologists. “Finalists” must present 20 minute oral versions of their essays in person at the following spring annual meeting of the AHA. Judging by an expert panel will be based on originality and appropriateness of the subject, the quality of the research, the writing, the bibliography, and the quality of the oral presentation. All finalists must agree to submit their essays to be considered for publication in the Bulletin of Anesthesia History (a peer reviewed journal listed in PubMed). Prizes will be $500, $200, and $100 for first, second, and third place. The Board of Trustees of the Wood Library-Museum created the Wood Library-Museum Fellowship in Anesthesiology to provide recipients with financial support for up to three weeks of scholarly and historical research at the Wood Library-Museum, Park Ridge, Illinois, USA pertaining to the specialty of anesthesiology. Applications are invited from anesthesiologists, residents in training in anesthesiology, physicians in other disciplines, historians, graduate students of the history of medicine and other individuals with a developed interest in the history of anesthesia or library and museum research.